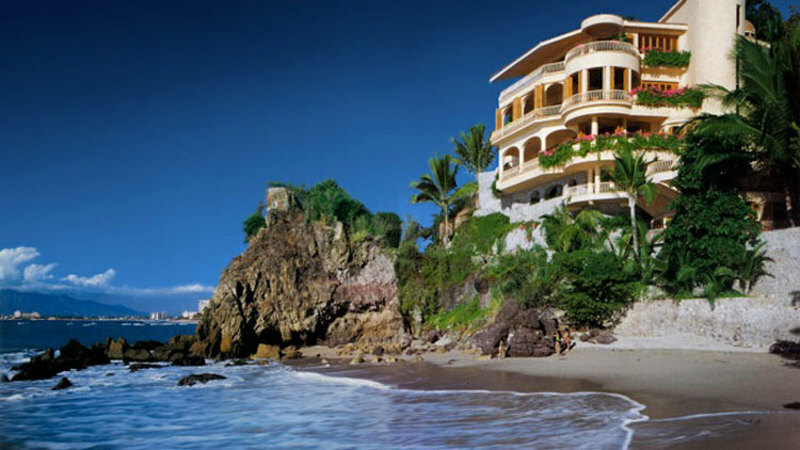 Famous for its deep history and beautiful beaches, Puerto Vallarta is one of the most sought after vacation destinations. 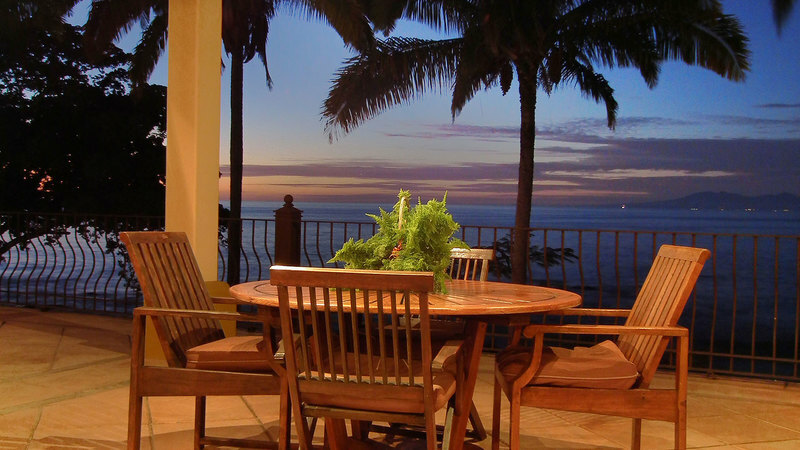 Find your perfect vacation rental. 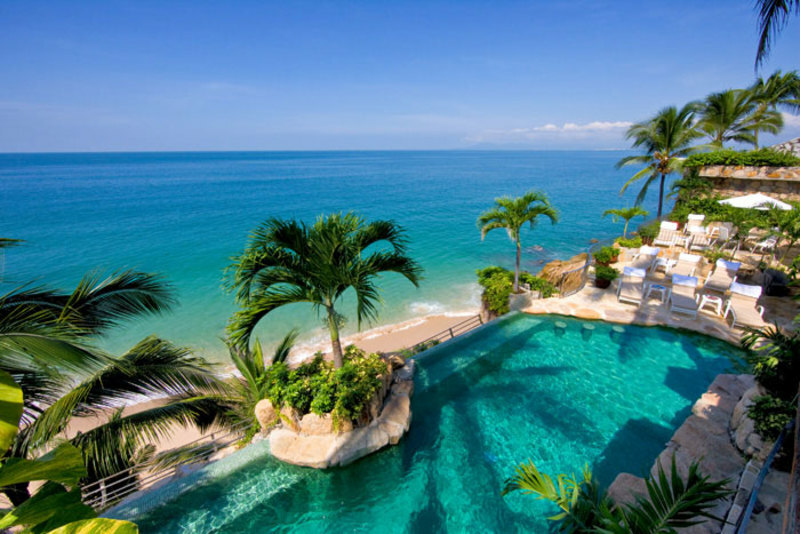 Puerto Vallarta is uniquely situated at about the center of a forty-mile coastline on beautiful Banderas Bay, one of the largest bays on the Pacific. 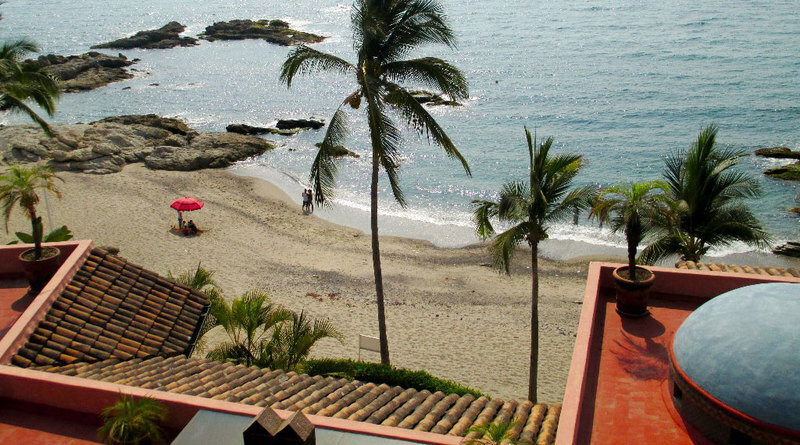 Over the last 50 years, the Puerto Vallarta area grew north to Punta Mita and south as far as Mismaloya and Boca de Tomatlan. 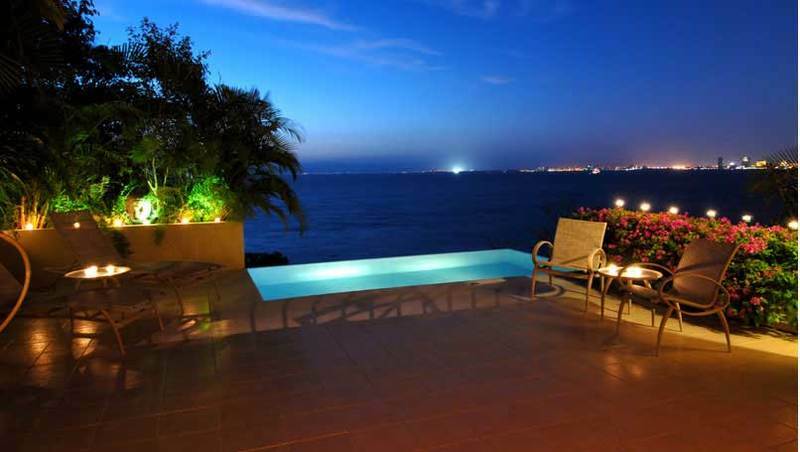 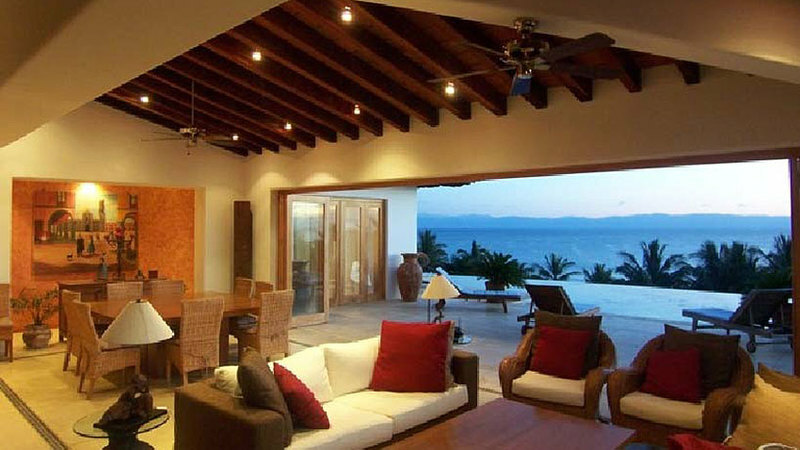 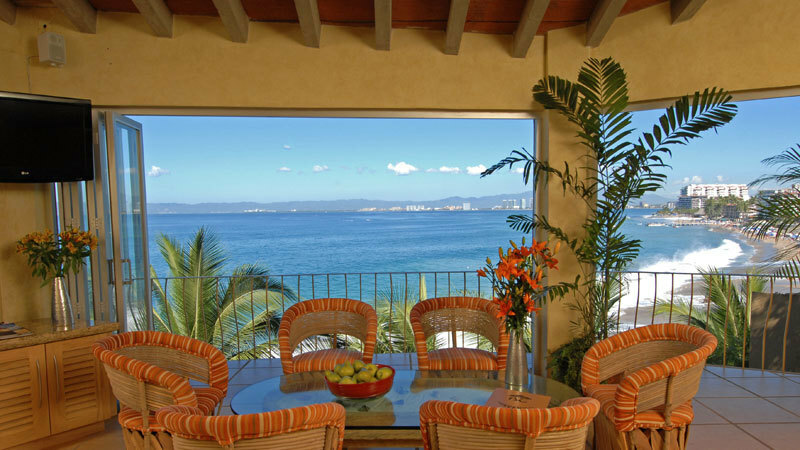 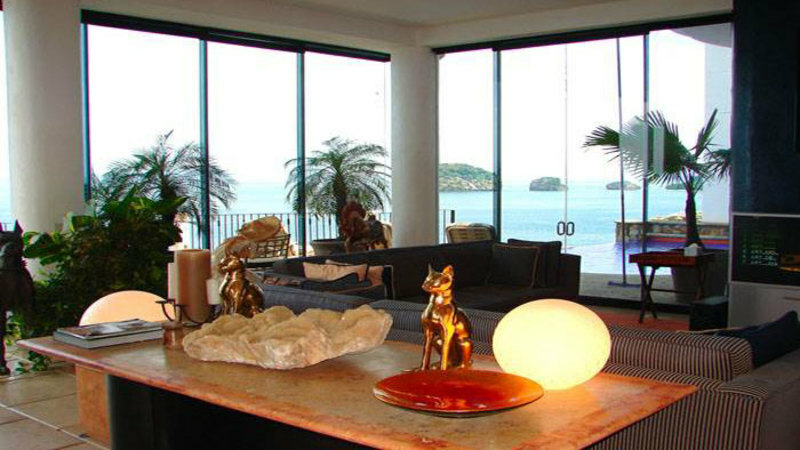 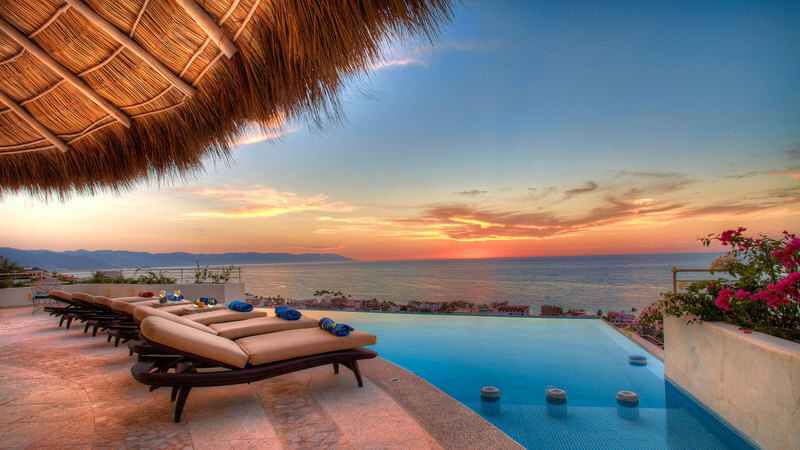 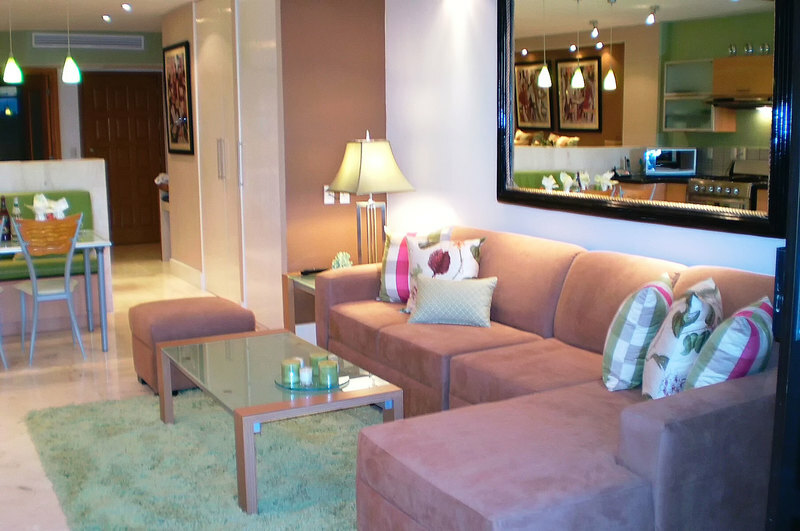 To the north, development grew along sandy beaches, offering Puerto Vallarta villa rentals to suit every budget. 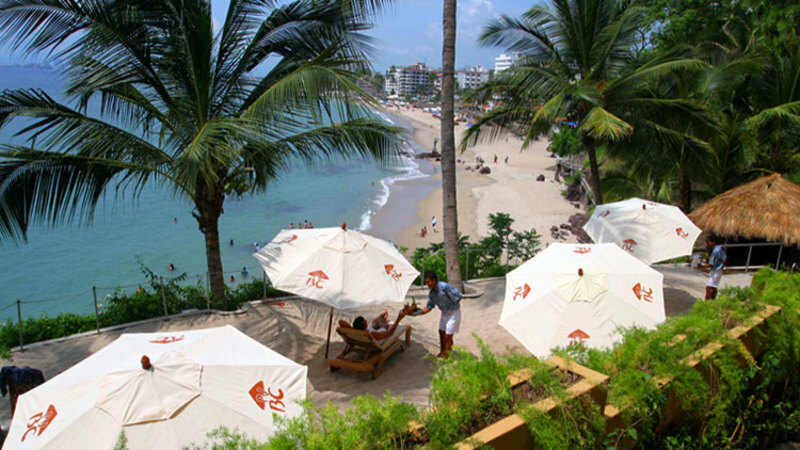 Things to do in Puerto Vallarta include visiting beaches, golf and water sports. 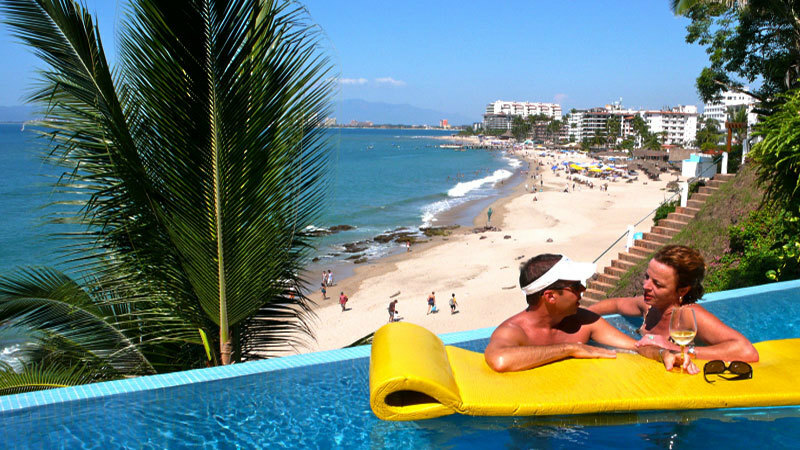 Marina Vallarta, with its deep natural harbor, welcomes large cruise ships as well as private sailboats and yachts. 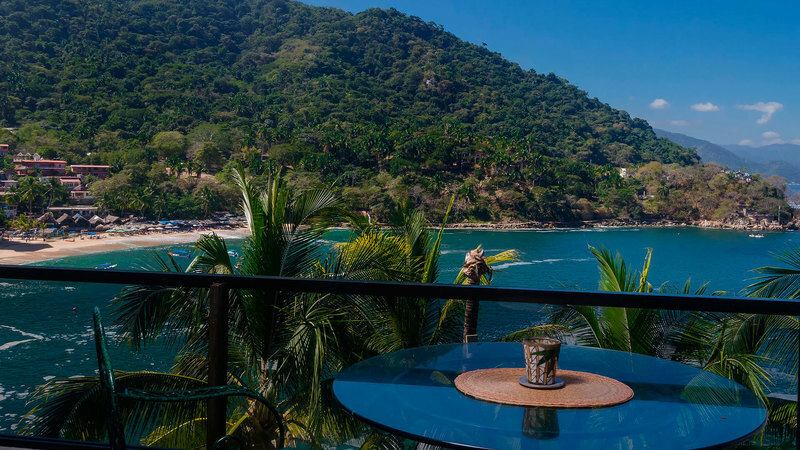 Boats of all sizes are available for deep sea fishing and to catch sailfish and marlin, or just to watch humpback whales and their newborn calves frolicking in the bay during Puerto Vallarta’s whale season. 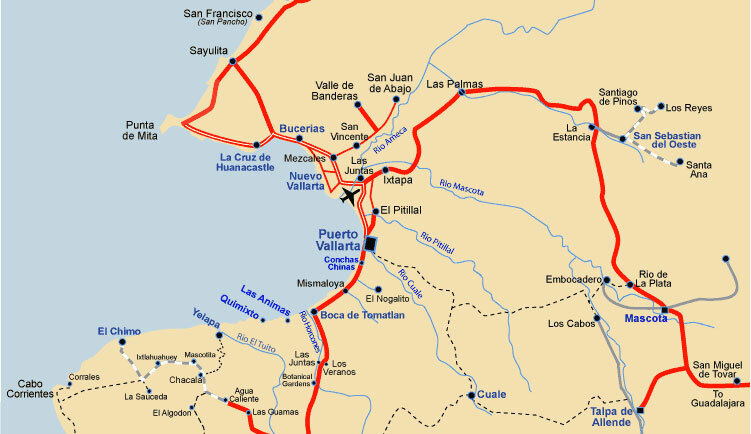 Continuing north past Puerto Vallarta’s International airport, one leaves the State of Jalisco to enter Nayarit. 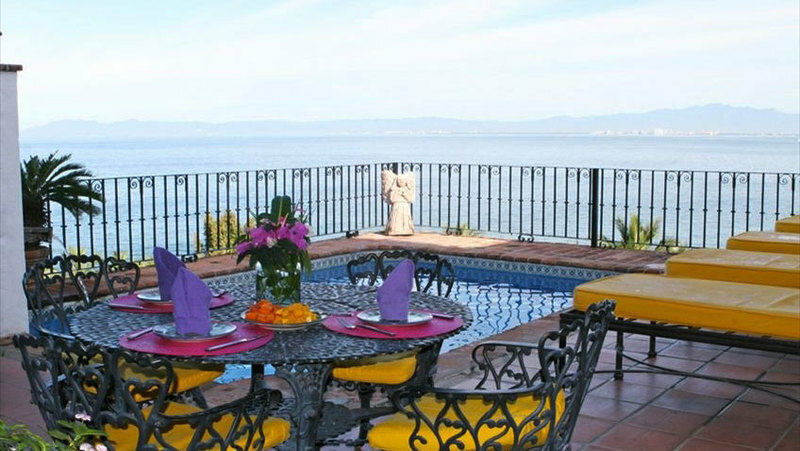 The countryside is undulating farmland with the backdrop of the Sierra Madres looming in the far distance. 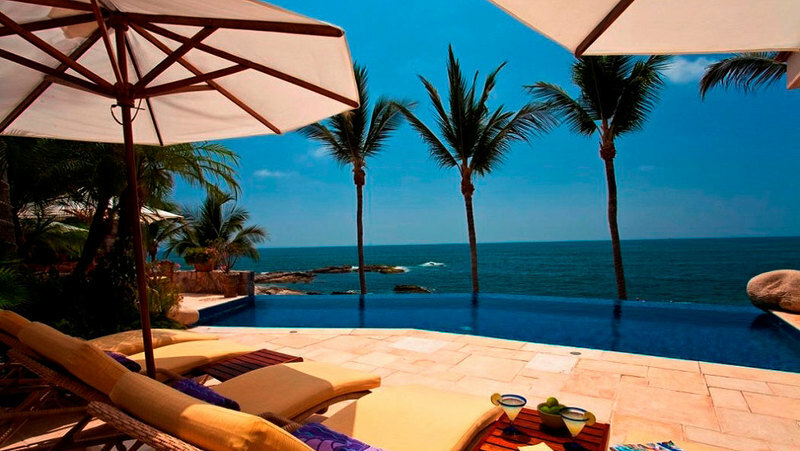 At land’s end, mega-investors such as the Four Seasons and The St. Regis, have developed the area into the luxury playground of Punta Mita, also referred to as “Riviera Nayarit”. 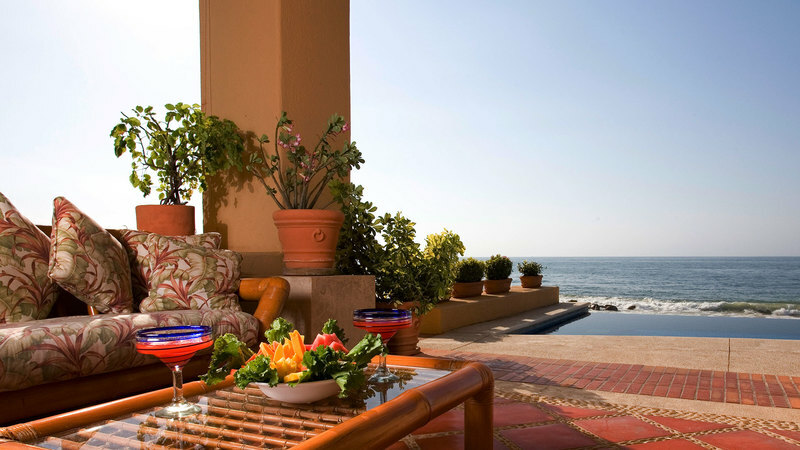 Ten 18-hole golf courses with two Jack Nicklaus Signature courses, invite golfers to keep their handicaps low, even in winter. 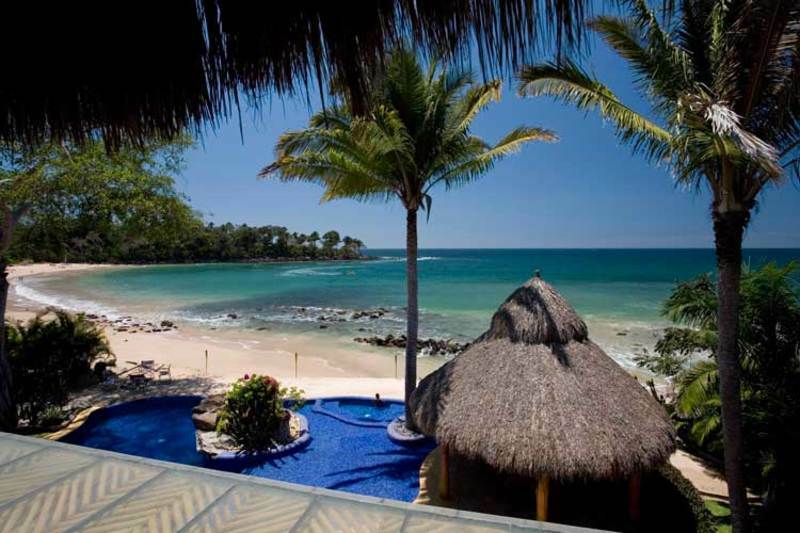 Spectacular beachfront villa rentals in gated communities are available, offering privacy and seclusion, as well as full staff services. 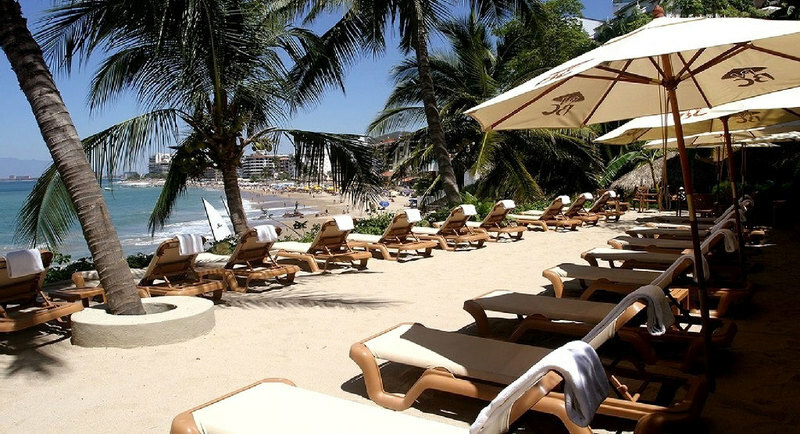 To the south of town, the extension of the Malecon, the main oceanfront promenade, now reaches Los Muertos beach, famous for swimming in the balmy waters, parasailing, jet ski, taking boat rides or watching the world go by, sitting under a thatched Palapa, sipping on frosty Margaritas or taking delight in fresh seafood del dia. 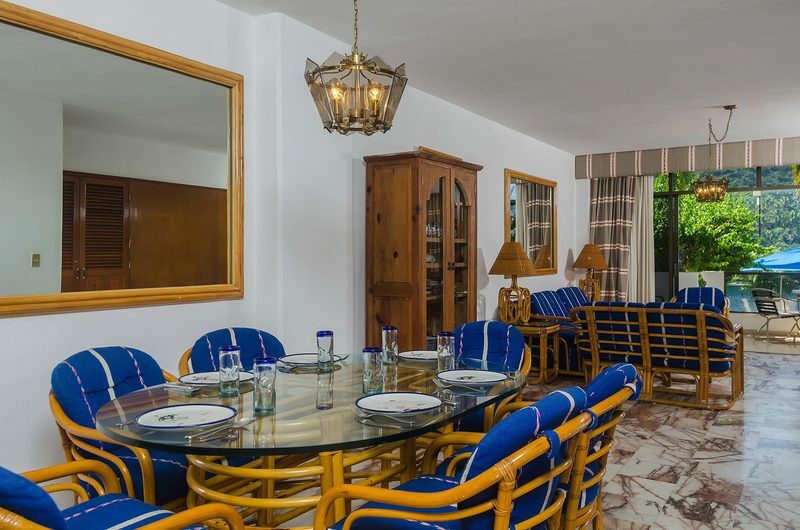 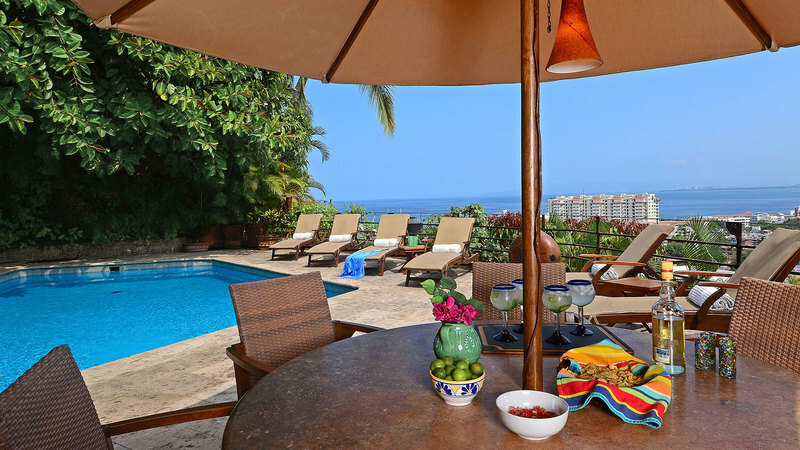 Zona Romantica, the Romantic Zone is a short walk away, with a multitude of local mercados, restaurants, bars, sophisticated boutiques, jewelry shops and art galleries, encouraging you to make a major purchase or to just buy a memento. 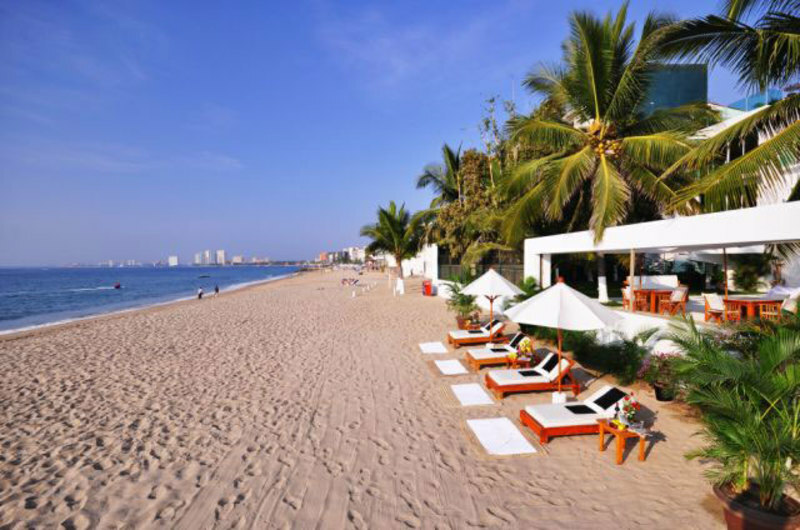 Puerto Vallarta, now renowned for world class dining via the annual Gourmet Festival, has hundreds of restaurants of various international cuisines, offering a food experience surprisingly metropolitan in quality, while in a laid-back friendly, tropical atmosphere. 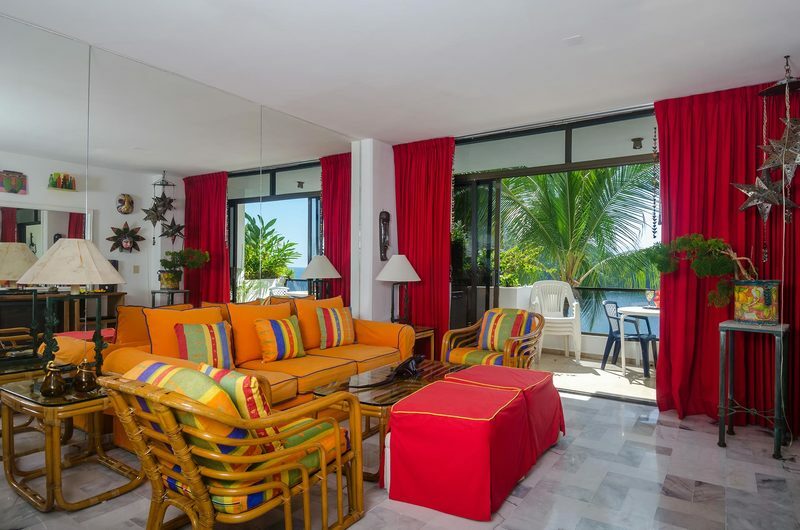 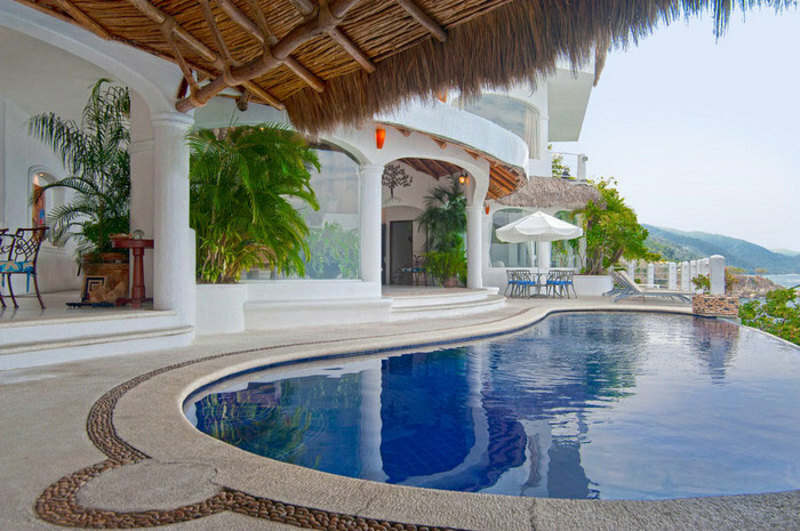 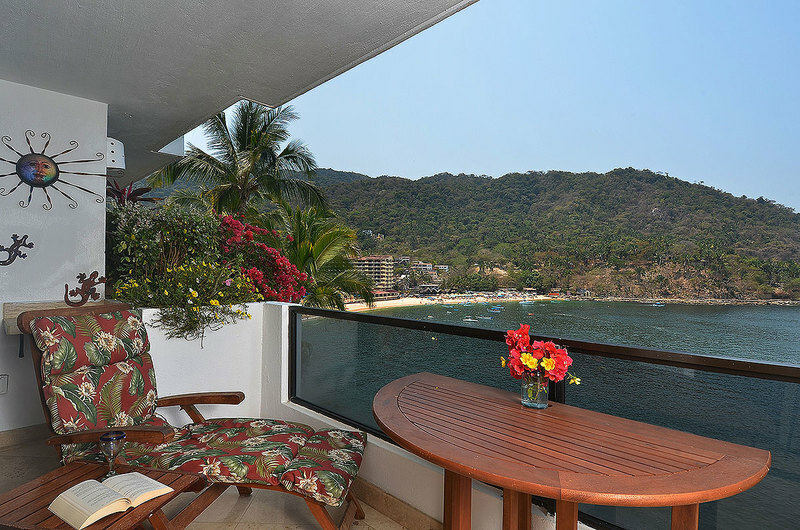 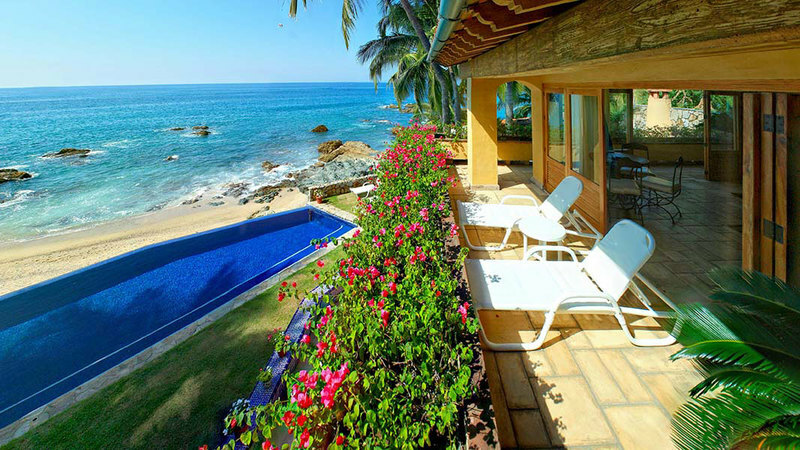 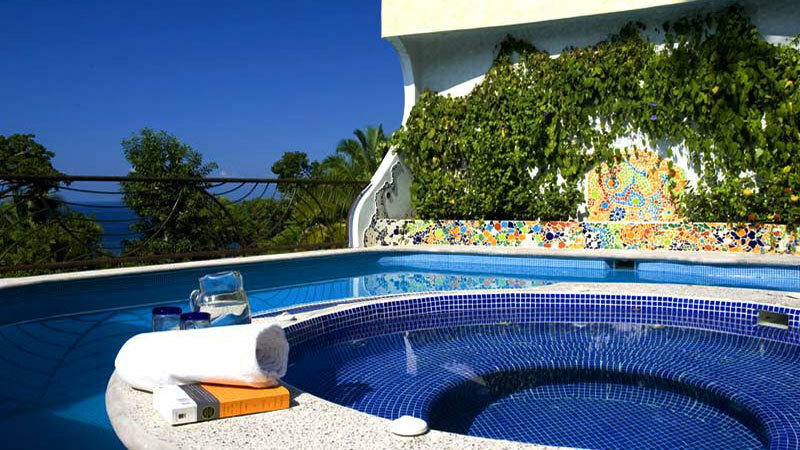 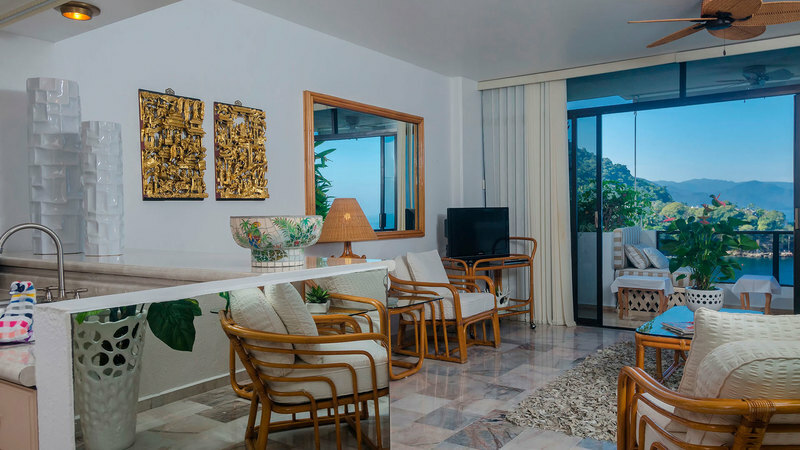 South of downtown, lies a spectacular wealth of luxury Puerto Vallarta villa rentals, dotting the hillsides and the coastline with its intermittent rock outcroppings and private beach coves. 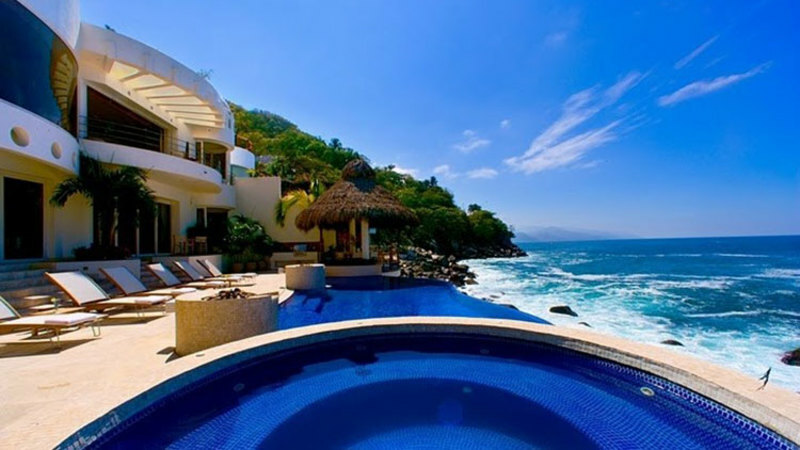 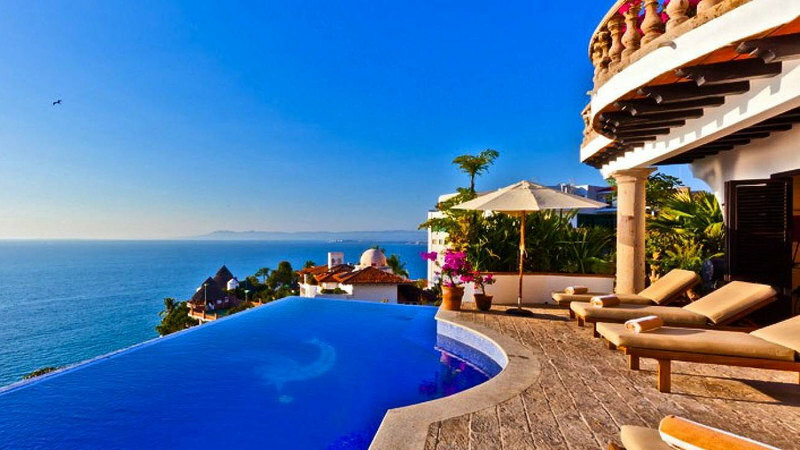 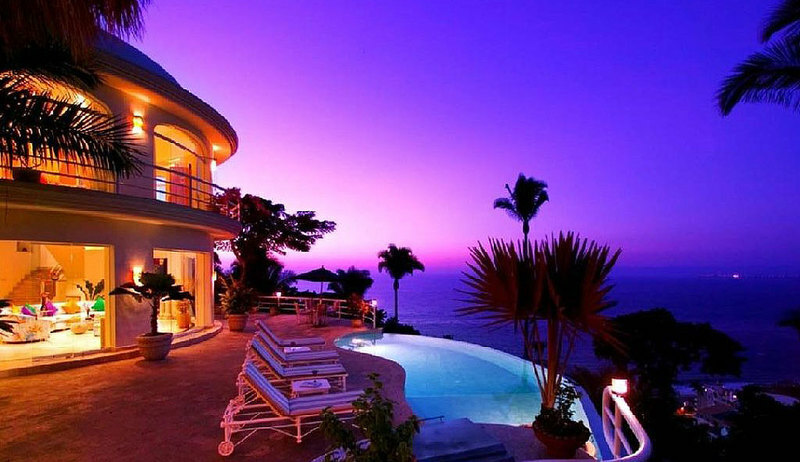 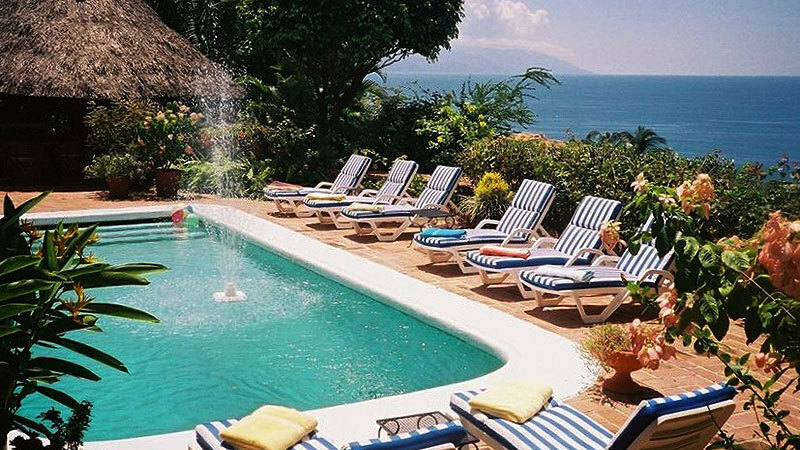 The private villas of Conchas Chinas, the Beverly Hills of Puerto Vallarta, are desired for their spectacular vistas over the expanse of Banderas Bay and the jungle-covered Sierra Madre mountains tumbling into the sea. 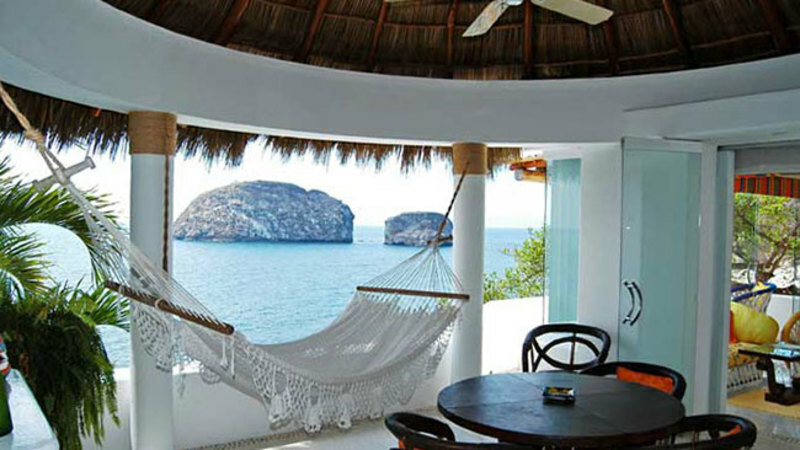 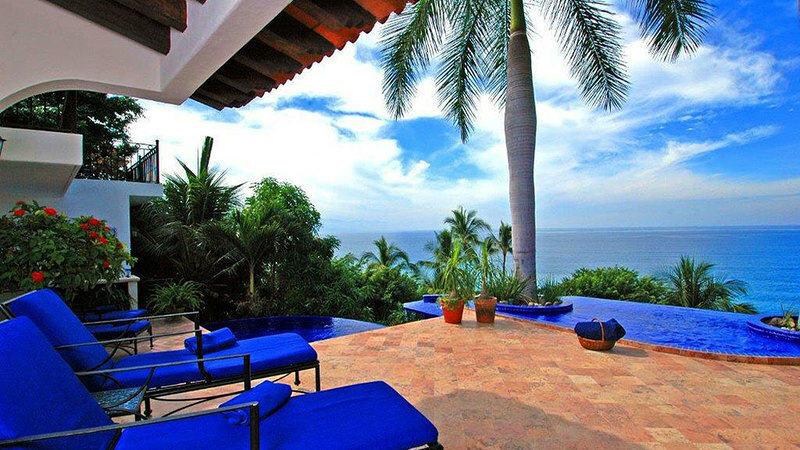 Vacationers can chose between authentic Mexican Haciendas or posh luxury estates with all imaginable amenities. 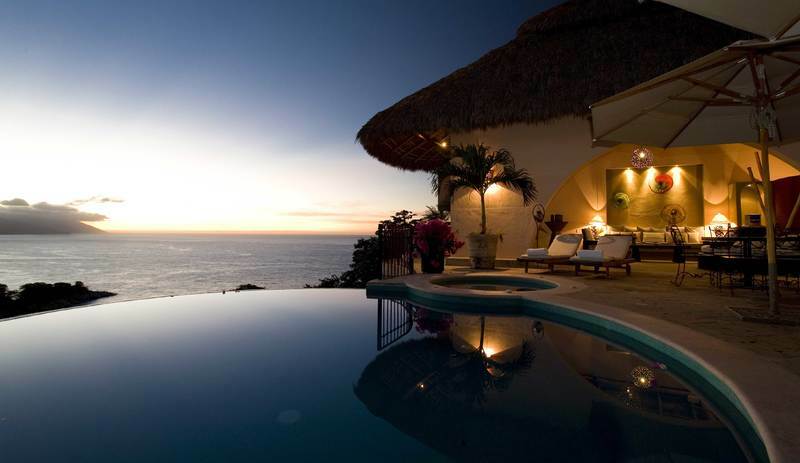 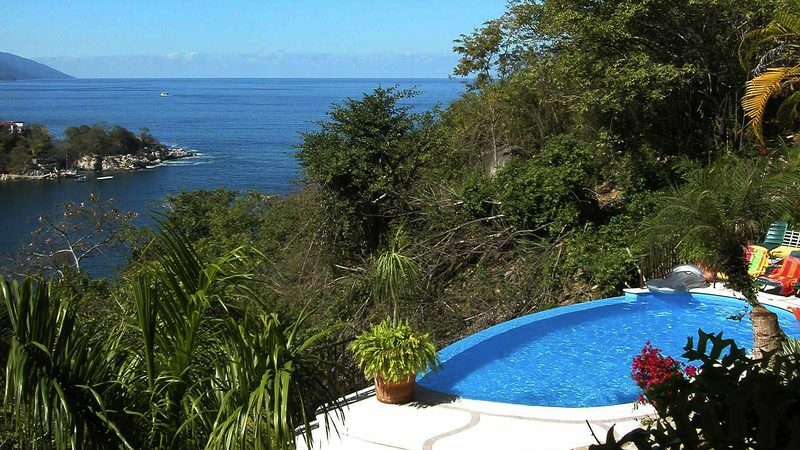 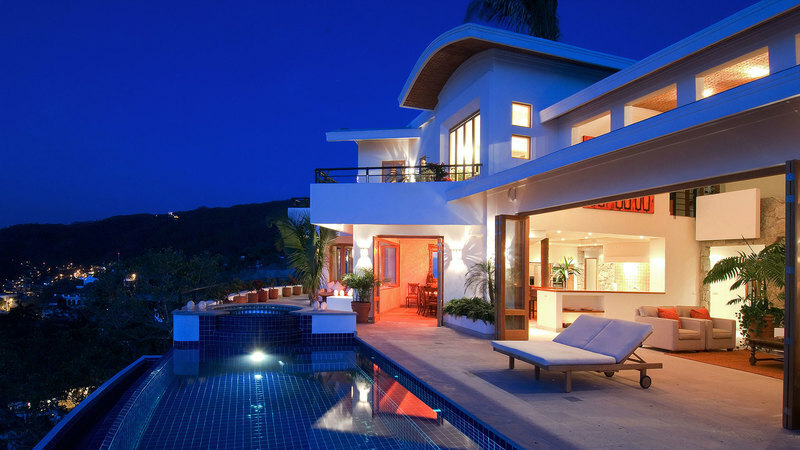 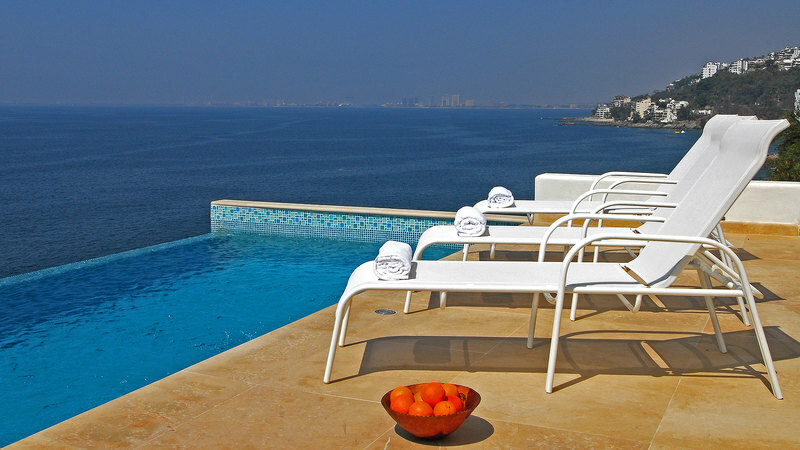 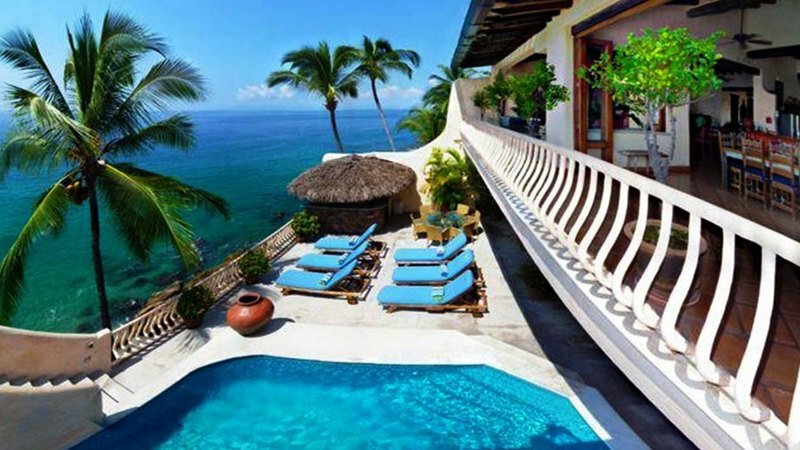 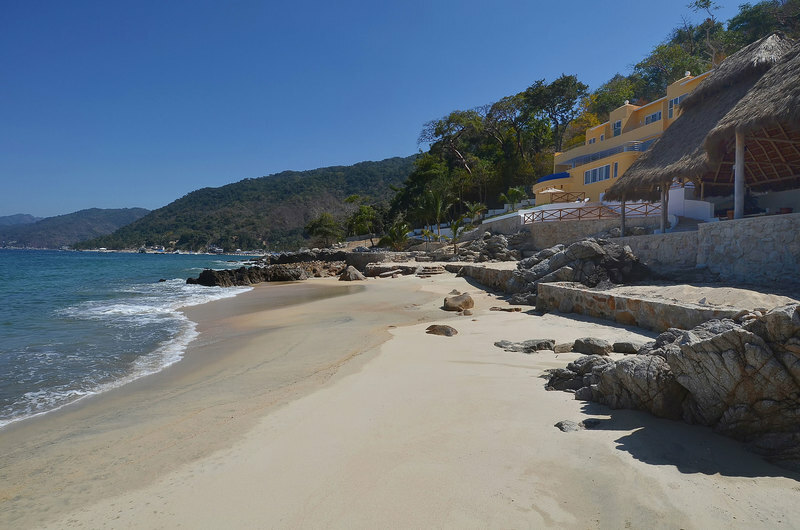 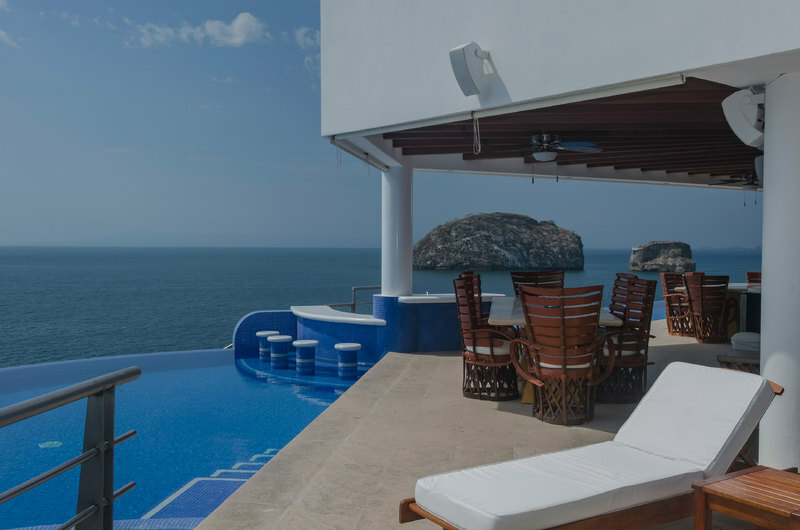 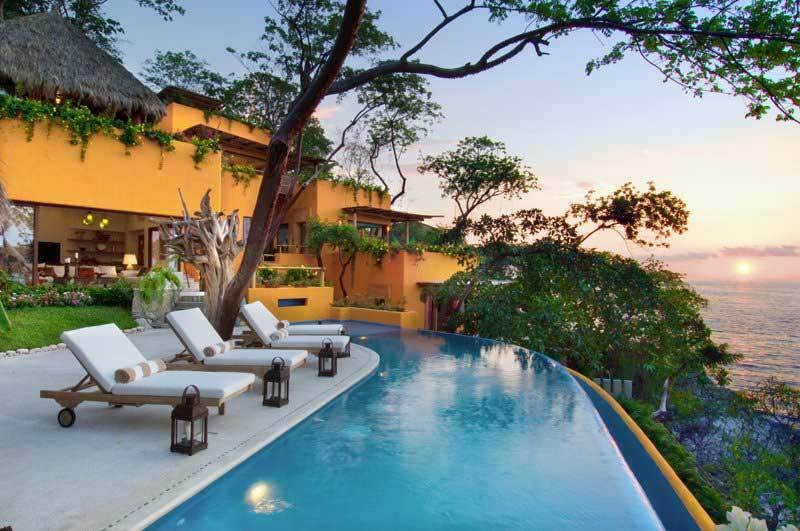 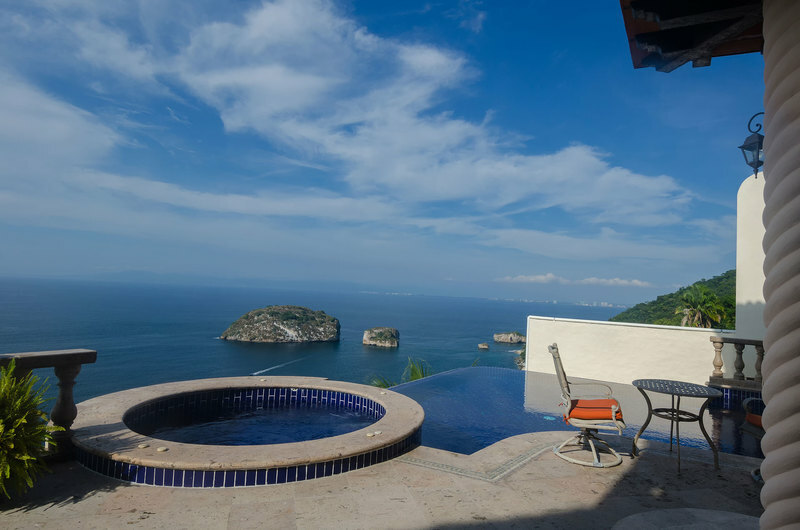 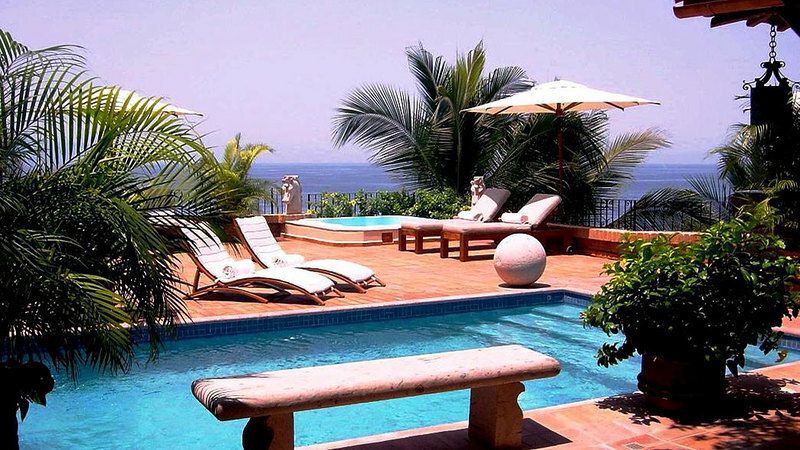 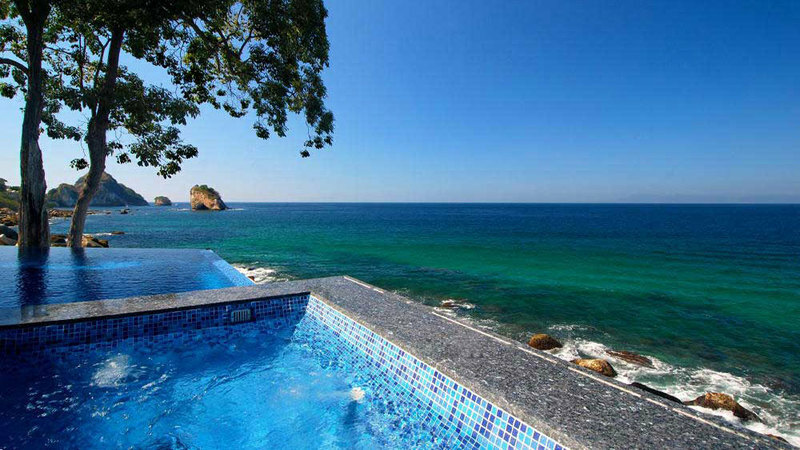 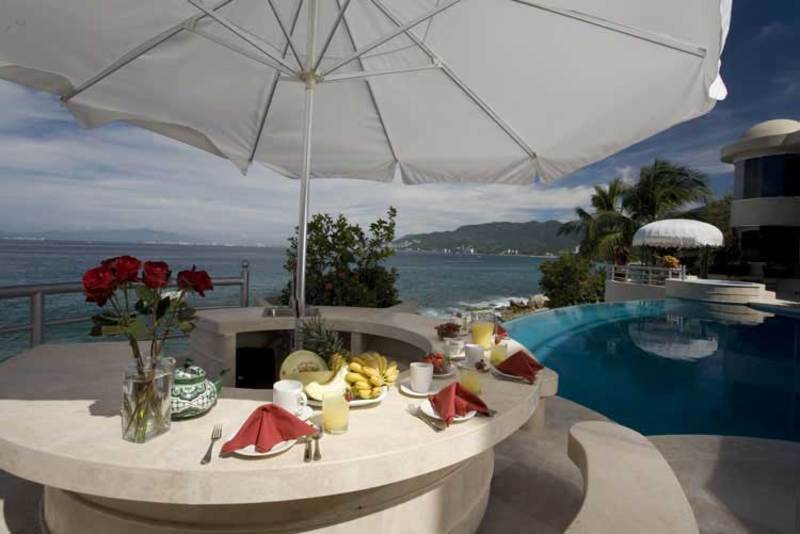 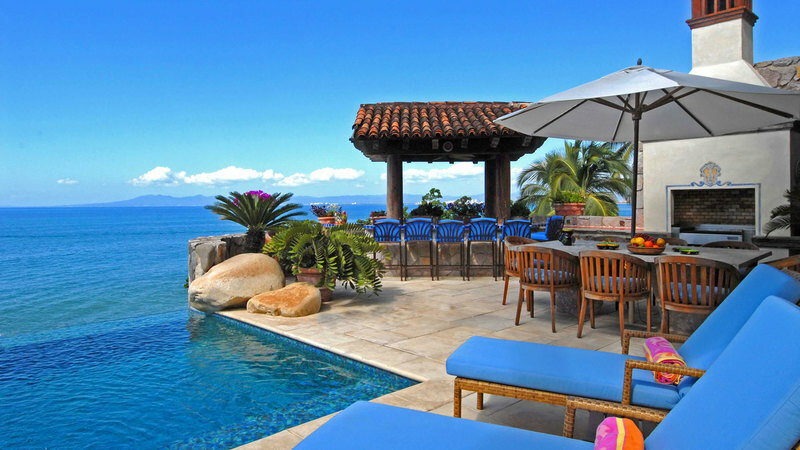 Arriving in Mismaloya, 15 minutes south of downtown, and the most picturesque part of Puerto Vallarta, there are luxurious private villa rentals oceanfront or perched on hillsides. 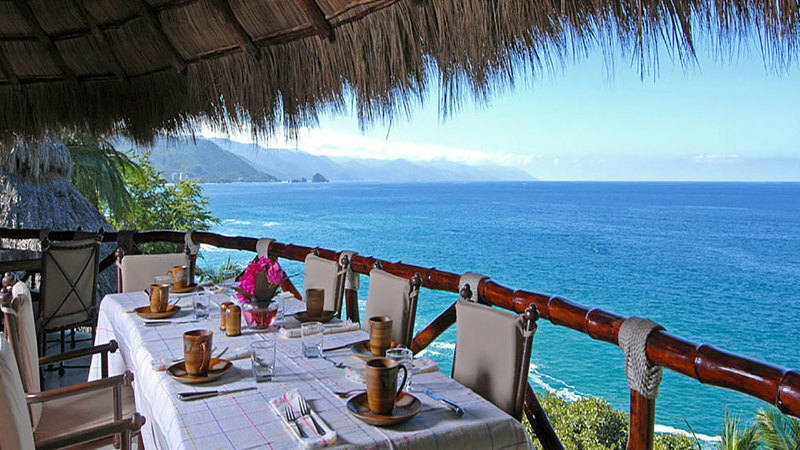 Mismaloya offers an array of activities on land and water, including horseback riding, nearby zip line tours over jungle canopies or stopping at a Jungle restaurant, in a location appropriately named Eden, for a leisurely lunch by a roaring waterfall. 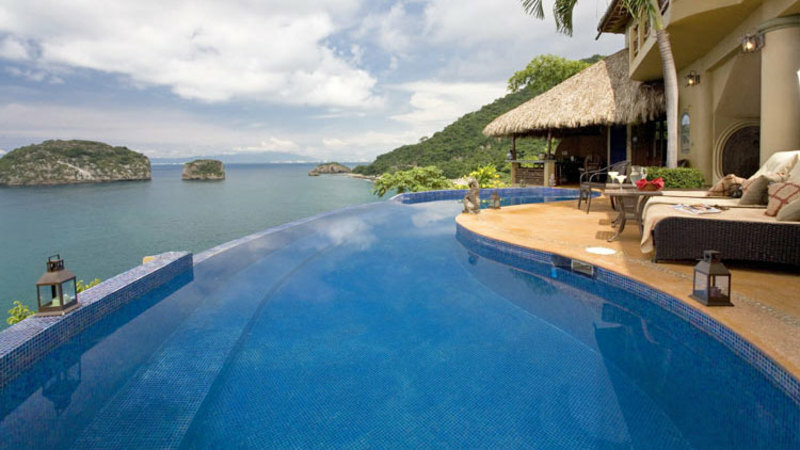 On beautiful Mismaloya beach, fishermen offer their pangas to fish and tour, snorkel at Los Arcos islands or take a cruise along the shoreline. 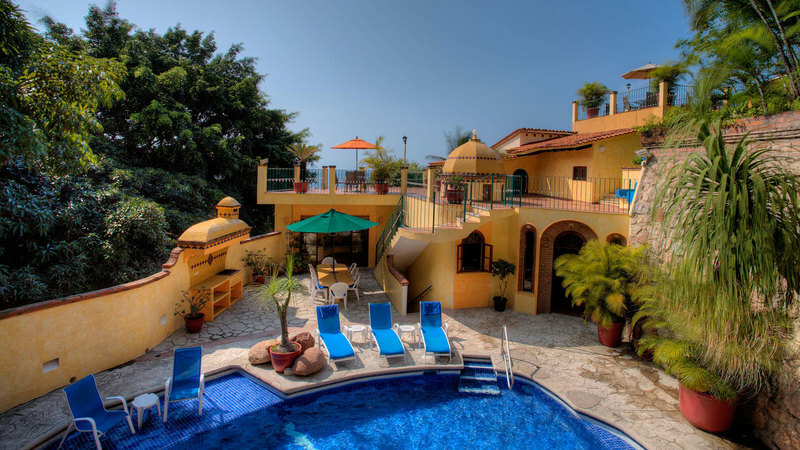 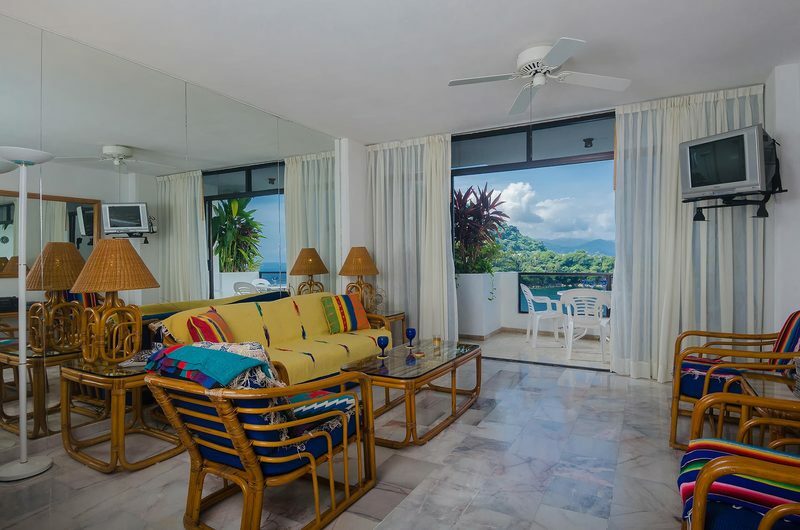 Mismaloya is one of the most tropically-lush areas of Puerto Vallarta, featuring incredible Puerto Vallarta villa rentals, with fantastic views of Los Arcos, ocean and the downtown skyline in the distance, with glowing cloud-lined sunsets to write home about! 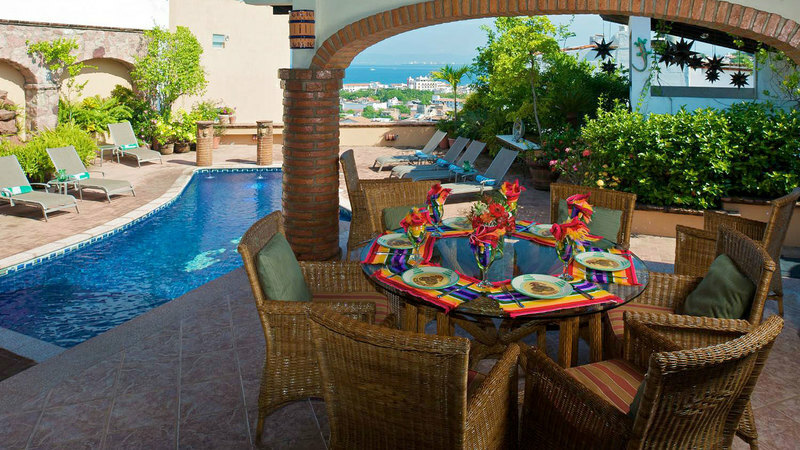 Villa vacationers to the north and south of Puerto Vallarta will experience the charm and friendliness of its inhabitants. 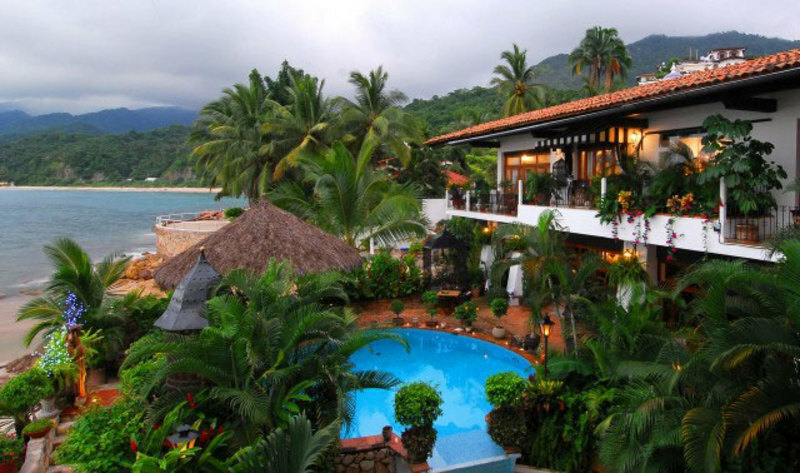 The town is safe and one can partake in the many festivities offered year round. 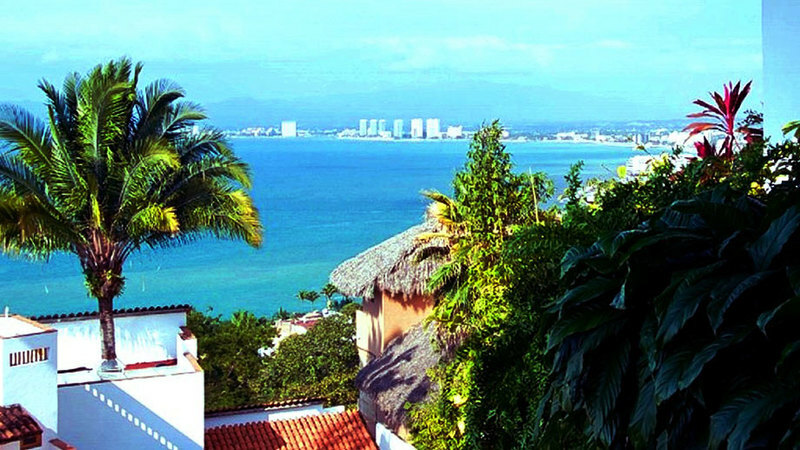 The Parroquia Guadalupe remains the focal point and icon of Puerto Vallarta. 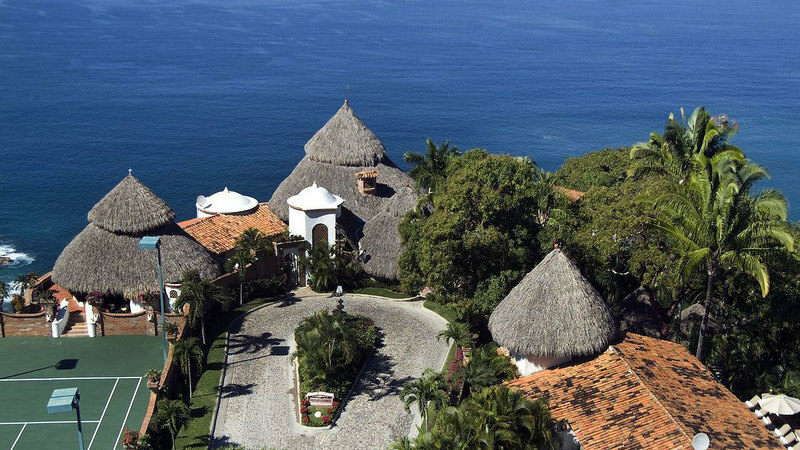 Passing by this beautiful church during festive celebrations, tourists are invited to hear sermons coming through its open portals or the voices of a children’s choir wafting down from inside its lofty balconies. 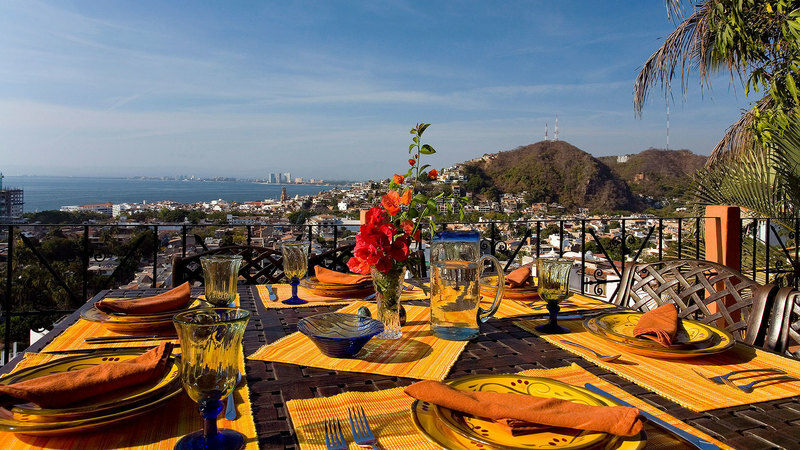 The Zocalo comes alive in the evenings when tourists mingle with locals to enjoy free performances in the open air “anfiteatro”, musicians serenading in the square, local artists presenting their creations and vendors roasting corn on the cob and tacos on their charcoal griddles. 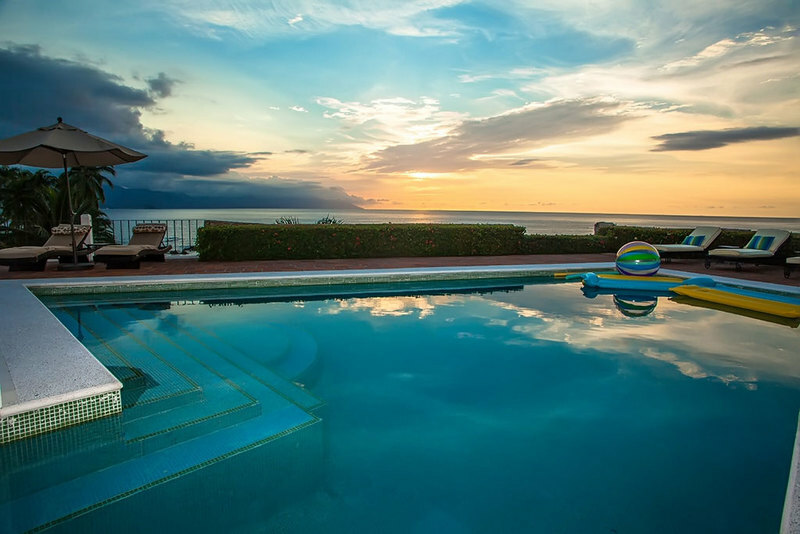 The day would not be complete without staying for another spectacular sunset as dusk falls over this enchanting vacation destination, ending with fireworks and cannon salvos coming from the pirate ship Marigalante as she heads for shore. 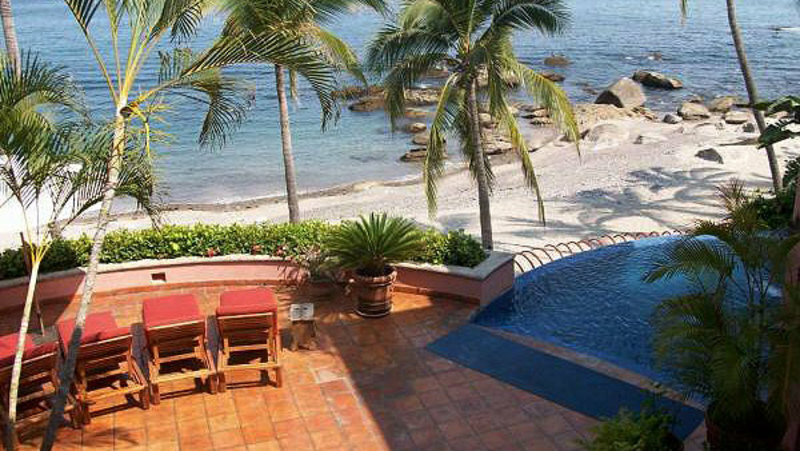 Puerto Vallarta has something to offer to everyone. 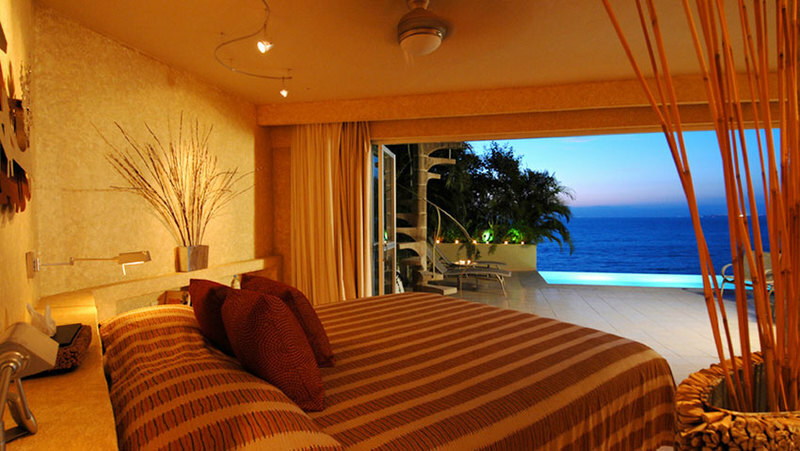 You will want to come back time and again to regain the feeling of being rejuvenated and refreshed. 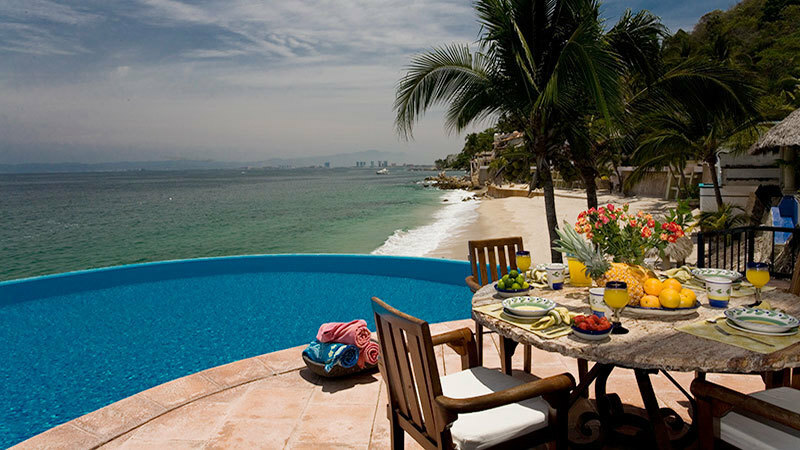 There is something about Puerto Vallarta that just touches the soul, and makes one feel comfortable and at home. 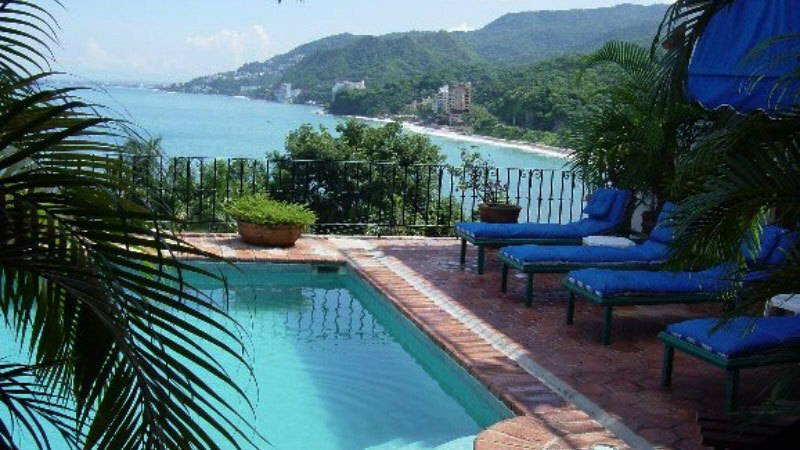 It is no wonder that so many American travellers own or rent villas in Puerto Vallarta and either call it home year-round, or call it home as often as they can!